The text says in verse 5 that because of their unbelief Jesus ‘could’ do no miracles. It did not say that He ‘would’ not do miracles, but that He ‘could’ not do miracles. It appears that Jesus did not have a choice in the matter. That is astonishing, and other translations back it up. This means that our unbelief may be able to withstand the love and power of God. It seems that we are far more powerful than we might have thought, but in a negative way. Unbelief is an awesome spiritual force. Unbelief is an awesome spiritual force. It says that Jesus ‘marveled at their unbelief’. Jesus also ‘marveled’ (same Greek word) at the great faith of the Centurion in Matthew 8:10. 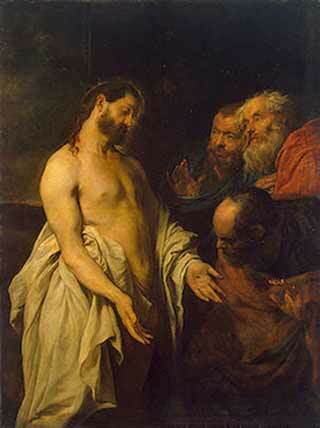 The Centurion saw Jesus as a Man of ultimate authority and he gave Him the respect He deserved. He trusted His word only, requiring nothing else. He knew that He was able to perform what he needed. The people of Nazareth did not honor Him, and they looked upon Him as a mere natural man. Guess who brought glory to God. Guess who got what they came for. Respect Him, honor Him, and plant His word deep in your heart, so that you can have a strong belief in Him. Go out and make Jesus marvel. See Also – Who Can Withstand God’s Power? Is Jesus unable to do a miracle because of the level of our faith? No, the almighty Jesus (the one in whom “all the fullness of the Deity lives in bodily form”) is always able, but our decision of choice is a boundary that God has chosen not to cross – in this way we are responsible for accepting or rejecting Jesus when we stand before Him. I believe that God had predetermined to limit Himself when facing with unbelief, knowing the evil of the heart of those who were deliberate in their unbelief despite the evidence. But lack of faith will not stop Jesus since in others instances He reised the dead and in John 5 the paralytic who had been in that condition for 38 years had no faith in Jesus when they experienced the miracles. Unbelief is a choice, a evil one despite the evidence and lack of faith or sincere doubts can be realities in the lives of real believers. Ex Lord I believe, help me overcome my unbelief. 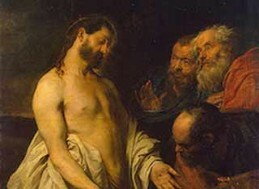 John The Baptist had doubts about who Jesus was in Mathew 11. Are you the One we are expecting, or should we expect another one? The best explanation I’ve seen. God always answers prayers. God is never the problem. We are always the problem and unbelief and sin will block the blessing. A.A. N.A. Etc always prepare a soul to receive the blessing by forgiveness, repentance , repairing love relationships with others and faith building through hearing fellowship with others who have received sobriety blessing and breaking their pride by their professing their powerlessness over their curse. The people of Nazareth were the problem. Not Him. He Prabably knew they were unable to receive his miracles. I actually think this is one of the most hopeful texts in the NT. For all those who have prayed and not seen God work in their life – they must confront the disease of unbelief. Many – myself included – believed that God would do what is necessary regardless of our failings i.e. unbelief. That God would work around unbelief. Belief in God is really binary. Its on or off. Luke warm believing does not put “rubber to the road” as you say. But this is not the case. It brings unbelief to the top of all impediments and blockages that stand in the way of God working in your life. I thank God for pointing this out. Unbelief is a scourge. I think its not as if faith is telling God .. or even forcing God to act . ((its the lack of faith)) -that . is preventing him to action but ..
by his own word God moves to action -because his word engages him to move! Faith is simply reaction to a promise . God cant lie ..thats what faith is…the result of trust in promise. .. I like the clarification Mike. God bless. Sometimes we don’t comment but please don’t stop posting these faith teachings. You don’t know what you are doing. God bless you mightily. Amen.